Replacement bolts and washers for your old corroded and rusted out hardware. 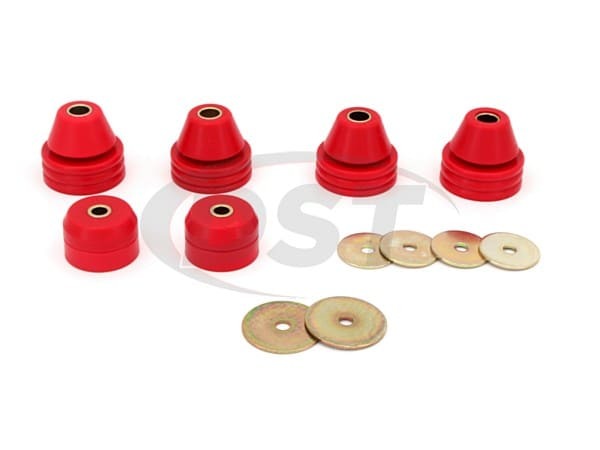 Polyurethane Body Mount and Radiator Support Bushings by Energy Suspension will replace the worn rubber body mounts on a '67-'72 C10 or C1500 pickup. 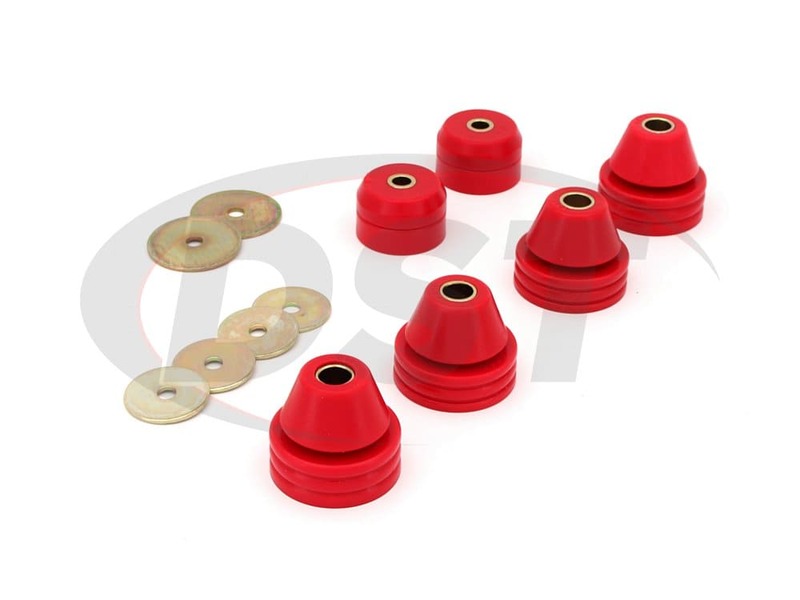 These polyurethane body mounts are much more durable than the original rubber bushings and will hold the cab-to-frame alignment for the life of your truck. The body mounts on the Chevy C10 and GMC C1500 are made of rubber and stand between the body and the frame to maintain alignment and reduce vibration from the frame to the cab. Rubber is great at dampening the vibration but the downside is they don't hold up to the wear and tear of everyday driving very well. 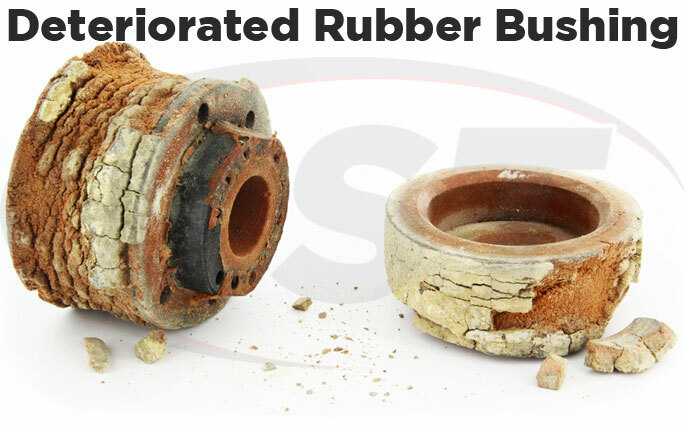 Besides normal wear, rubber bushings will begin to degrade with exposure to heat, road grime, and road salts. Here in Stephenville, the pavement can be boiling in the morning and iced over the next day, so durability is important to us. When the original rubber body mounts fail you will notice the cab to bed alignment is off and possibly the doors are having a hard time latching because they're misaligned as well. If you're restoring one of these classic trucks then the original bushings almost certainly need to be replaced. 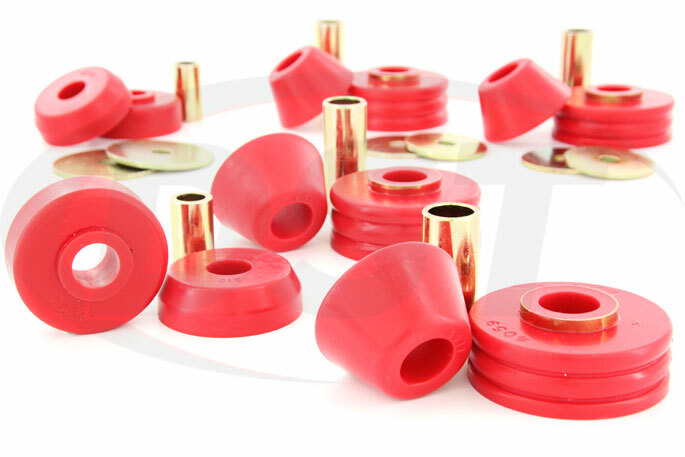 If you want to plan on doing the job just once for the life of the vehicle then check out Energy Suspension's polyurethane body mount and radiator support bushings. 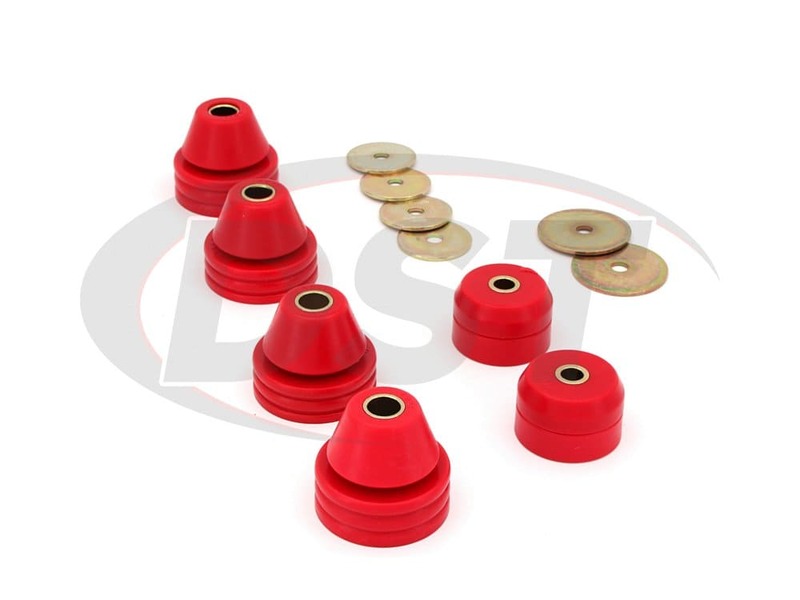 These polyurethane bushings will maintain the cab to bed alignment and keep the pin-stripping unbroken on the side of your C10 or C1500. Consistent body alignment will also eliminate the need to slam the doors to make them latch, saving frustration. 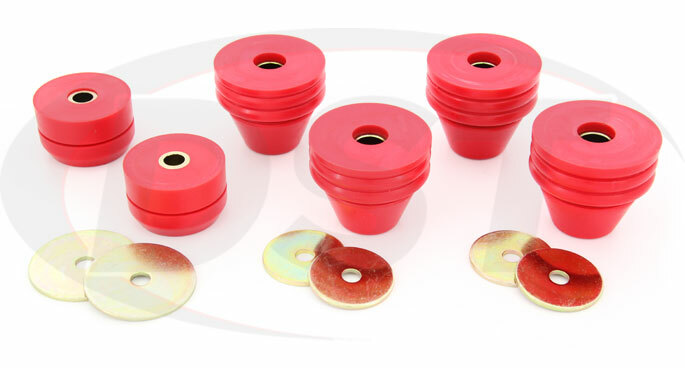 Polyurethane bushings have a history of allowing too much vibration from the road to the cab, but newer formulas (like Energy Suspension's Hyperflex Polyurethane) have increased the level of comfort compared to those first urethane bushings. 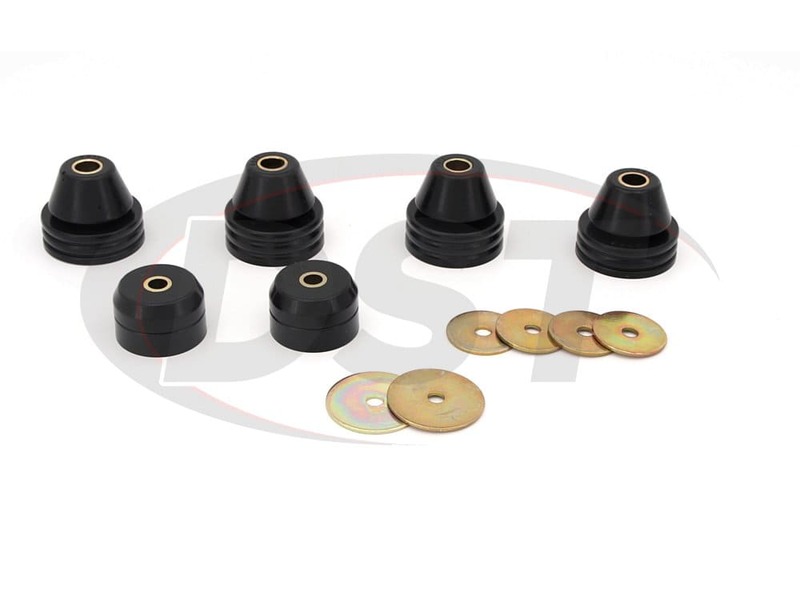 These body mounts will allow some more noise and vibration than rubber, but the advantage in the durability and functionality department tip the performance/comfort scales and make these bushings a great upgrade to your Chevy or GMC's suspension. 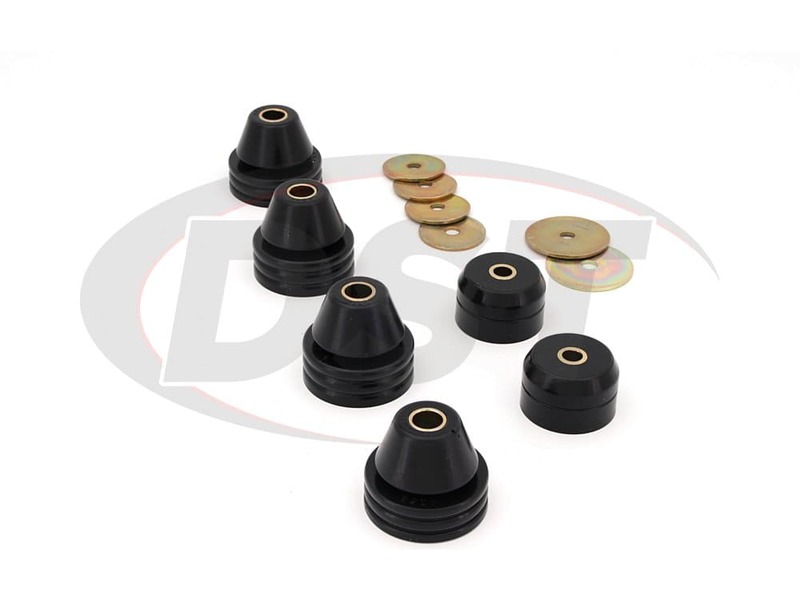 These Energy Suspension body mount and radiator support bushings are backed by DST's exclusive lifetime warranty, so if you buy from us we make sure you're covered. starstarstarstarstar" it is what i expectied "
All the parts installed as designed. No fit or finish issues. Truck looks great! starstarstarstarstar" Excellent fit and they look cool. " Went together like it was made for it, although I did go to the local hardware store and bought new bolts. Sorry, it was cheaper that way. I will get more parts from y'all because I have 2 other BoT ties that will benefit greatly from your products, which I have used before. Does this set 3.4108 contain radiator support mounts? What is the torque on part 3.4108? Is the hardware included in part number 3.4108? No, part number 3.4108 comes with the bushings and new washers only. You can get part number dhw002 though as well, which is the hardware kit to go with the body mount kit number 3.4108. 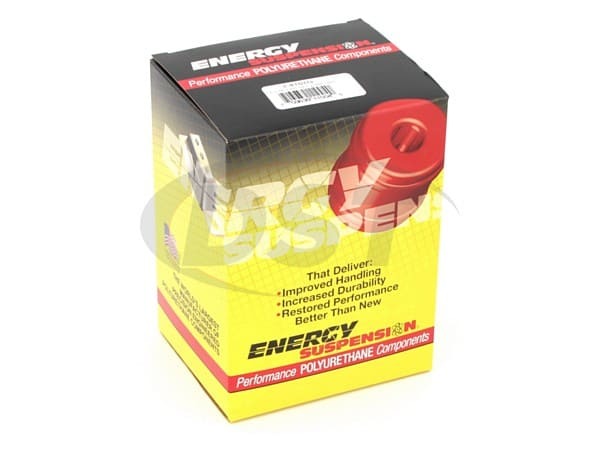 Energy 3.4108 body mount bushings and radiator support. 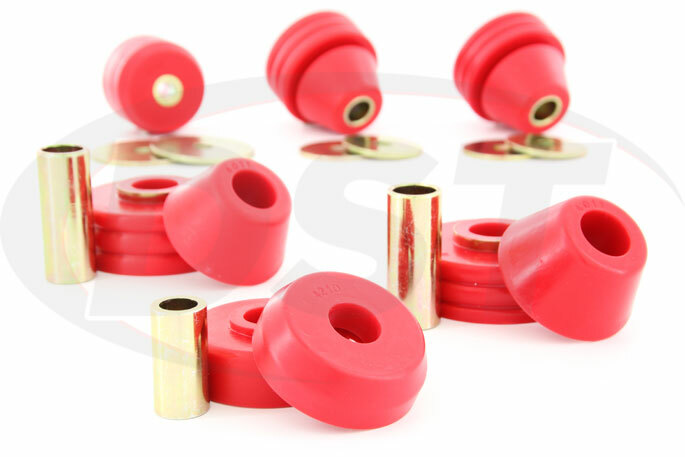 None of our body mount bushing kits extend all the way back to the bed.